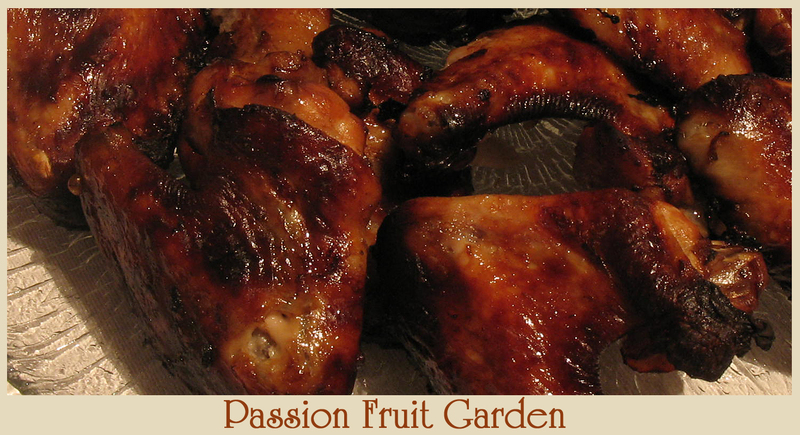 Everyone has their favourite marinated chicken wing recipe… this one is mine. There will be no negotiations entered into. I have been eating this dish, consistently, for 39 years – yep, 39 years. My mum used to make it and, when I left home, I took the recipe with me. How do I know it has been 39 years? The answer is simple. I have the original recipe in front of me. In bygone days, (I don’t know if they still do it, not being a purchaser of the magazine), the Australian Women’s Weekly used to feature little pull out cookbooks. My mum used to buy the AWW all the time and, in this instance, acquired a little Chinese Cookbook. It is dated 14 March 1973. The recipes in the book are by Mrs Ella-Mei Wong who, in her photo, is sporting an amazing bouffant hair-do with two of the biggest kiss curls I have ever seen, hanging down each side of her face. She is described as one of Australia’s foremost authorities on Chinese food. I had never heard of her so I checked her out on the web and found that she actually wrote 4 cookbooks: 3 in the 70’s and one in 1981. I have tried piles of other marinated chicken wing recipes but, IMHO, they all pale into insignificance compared to this one. There is one secret weapon. You have to seriously over-cook the wings. The wings in the head photo are show ponies only. I really like them as they appear in the bottom photo. I didn’t feature the whole photo because it looked like a plate of charred ruins, not enticing at all. But that is how they taste the best – dark, caramelised and crunchy. Also, you will note, the wings in the head photo don’t have their tips. The big supermarkets have an irritating habit of cutting them off. They are the best part, if you ask me. So try to get a full wing and do cook them until they are a lovely dark caramelised colour and the tips are all crunchy. Put the chicken wings into a large saucepan, add the crumbled stock cubes and cover with water. Combine the rest of the ingredients in a large bowl. Add the hot chicken wings to the marinade; set aside. Stir occasionally. The longer they are left the better but, at least, three hours. I like to prepare the wings in the morning for the evening meal. Preheat oven to 180 – 200°C. Line a baking dish with a baking sheet or alfoil (If you don’t do this, the marinade will get on your baking dish and it is a pain to clean up). Put a wire rack in your lined baking dish and lay the chicken wings on top. Bake in the oven until the wings are dark, caramelised and crunchy. This entry was posted in Chicken & Duck, Family favourites, What's for dinner? 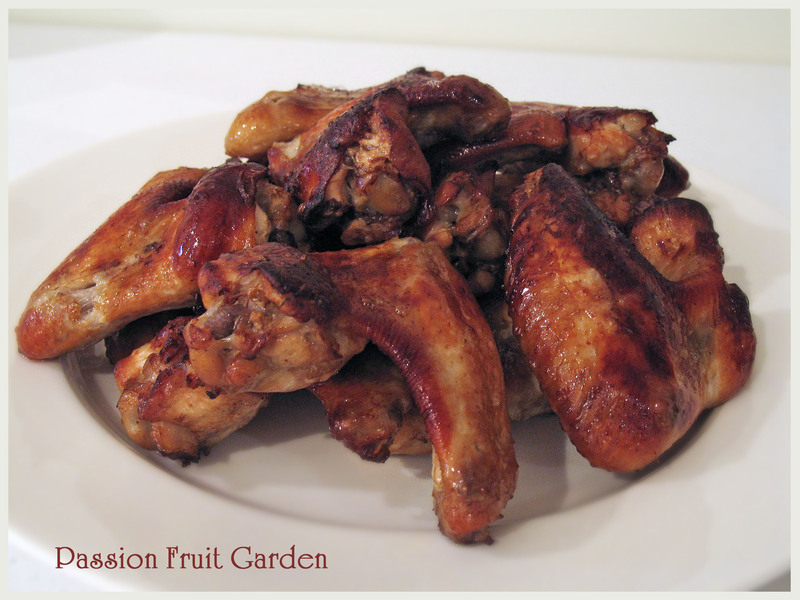 and tagged 70's recipes, Chinese marinated chicken wings, Ella-Mei Wong by Glenda. Bookmark the permalink. They look finger lickin’ good. Hi Mariana. They really are! Hi Roz. It’s the mess they make of your oven that puts me off but I love them so much I put up with it.